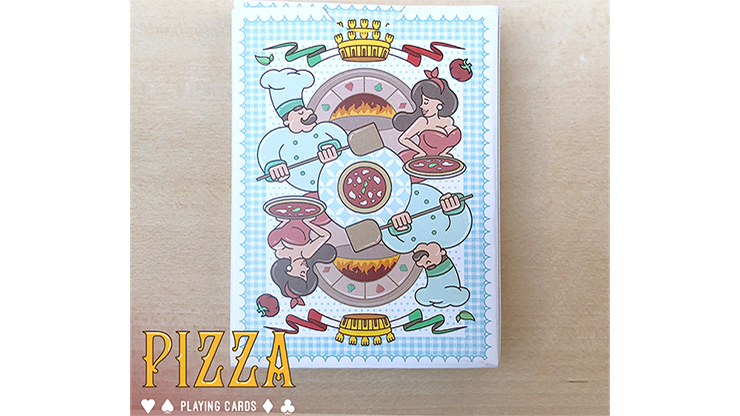 A delicious deck of cards -- Pizza! 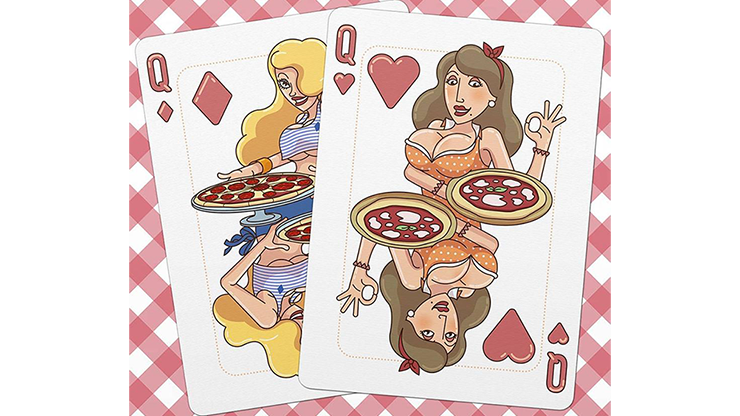 Pizza is one of the most loved foods in the world. 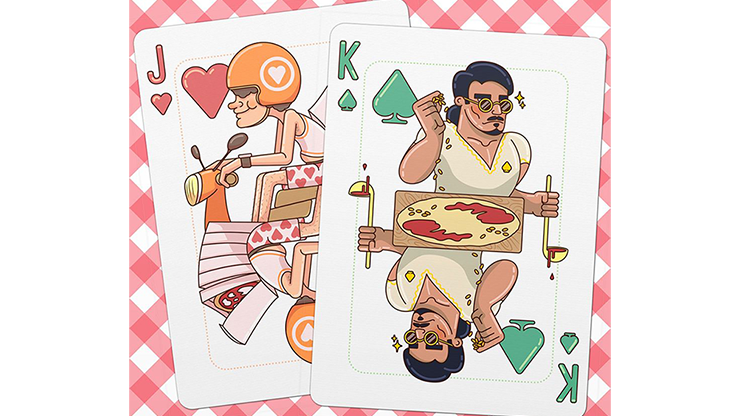 It originated in Italy (Naples) a long time ago. 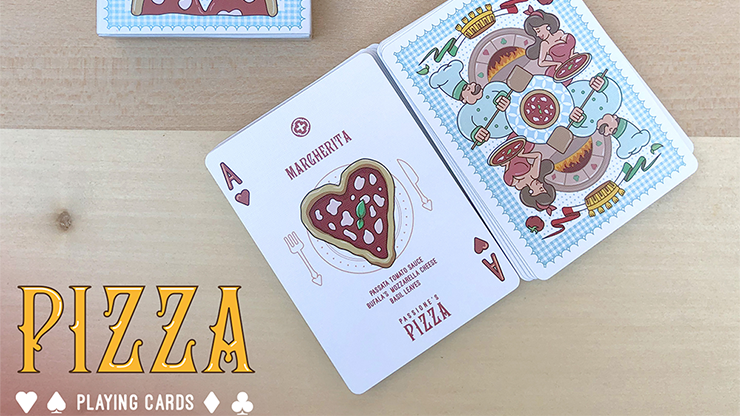 What is certain is the date of birth of the Pizza Margherita (or at least the name): the year 1889, and it was dedicated to the Italian Queen: Margherita of Savoy. 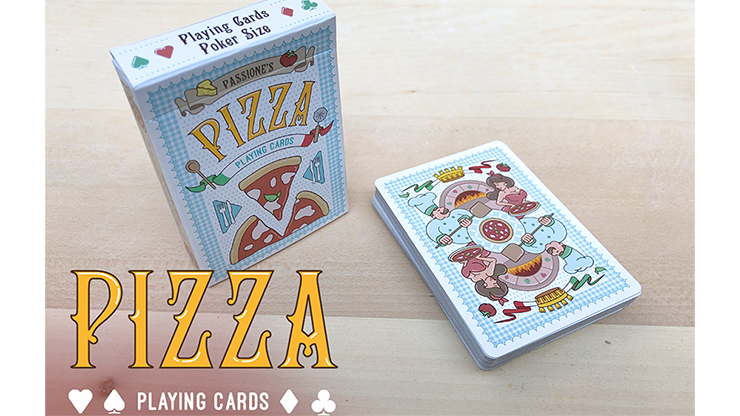 Pizza Playing Cards is the third project on Kickstarter by the Passione Team. 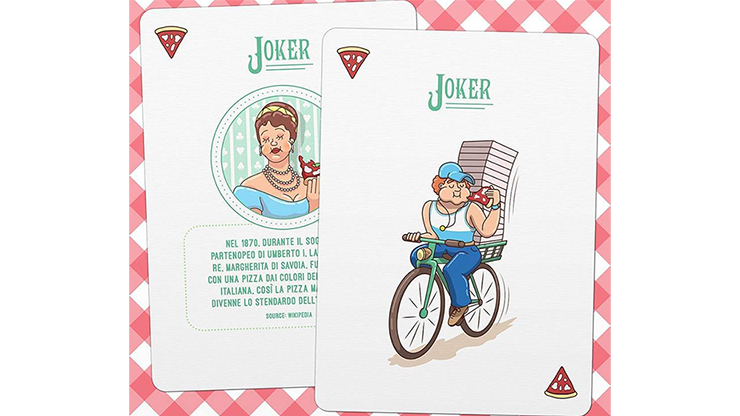 Illustrated by Stefano Protino.